I love weekend brunches. 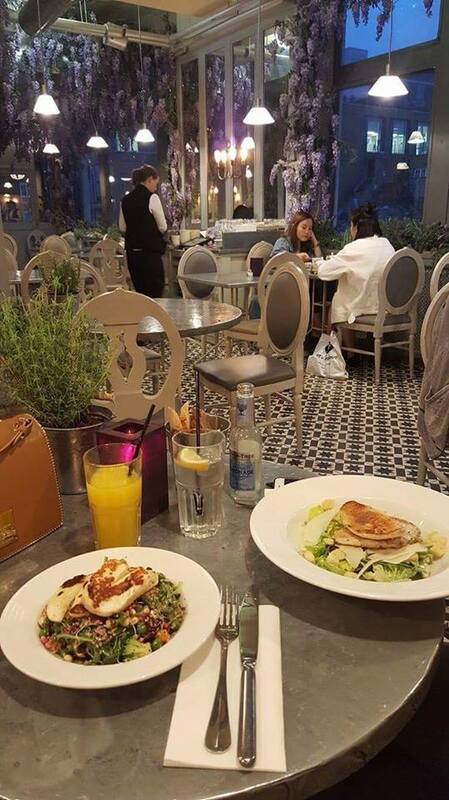 Especially in the nice environment, interior and delicious food. London is full of heaven foodie places and now I would like to share with you my top 10 brunch places around London! Please note that weekend brunches are pretty popular, so do plan and book in advance whenever you can or you better wake up early to get there. A pretty minimal place in the heart of Clerkenwell. The place is great and also popular or brunches and cocktails. Love the minimal interior and greenery decoration! My number one place for pancakes especially! They have many brunches around London and they do brucnhes the whole day! I have been in couple of them already and my personal favourite one is one nearby Liverpool street. Love the vintage and american interior style in it! A bit pricey brasserie located in Soho as part of Ottolenghi serves Middle Easter and Asian inspired plates. Great for lunches or brunches too. Don't forget to visit their amazing mirror maze toilets! Another Clerkenwell based dining place in a beautiful modern interior place. A pretty instagrammable place with lots of pink and plants is located in Hackney. They don't take any bookings, so come early to grab a seat or wait in a queue. Their coloured lattes are very trendy! Coppa Club have couple of places around London too, but the one near Tower bridge is just pretty! Especially their outdoor seating and flower decoration over spring/summer and their igloo style of dining in winter times! This place was pretty popular on Instagram too and I had to try it out as well. 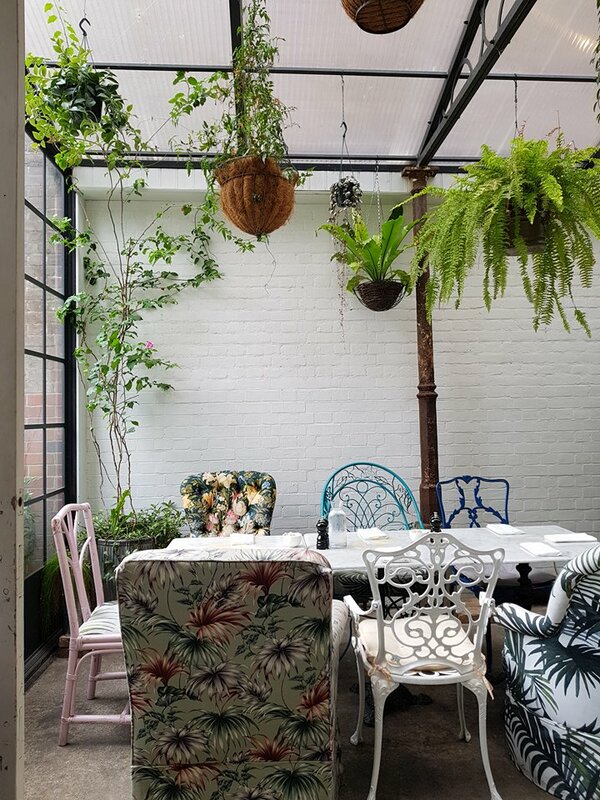 A cozy place not far away from Portobello market in Notting Hill is great for brunches, but the queues are crazy! Probably I have catch a bad time to go it. However, you will find their healthy oriented menu or a bulldock on your latte! Such a cute Moroccan place with great dishes! Their interior is stunning and you will totally feel immersed into North African vibes. Aubaine is a french restaurant with couple of brunches across London. But the one I like is located at Selfridges, Their flower decoration is just way too romantic! A British upscale dining place in Chelsea with terraces and gardens. Especially during Chelsea flower festival, this place totally bloomed! However, the bookings for their brunches is booked months in advance.